Match ends, Indonesia 4, Brunei 0. Second Half ends, Indonesia 4, Brunei 0. Goal! 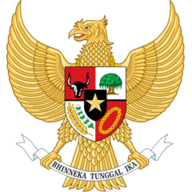 Indonesia 4, Brunei 0. Yabes Roni Malaifani (Indonesia) right footed shot from the centre of the box to the centre of the goal. Assisted by Andritany Ardhiyasa. Substitution, Brunei. Amin Sisa replaces Hamizan Aziz bin Sulaiman. Substitution, Brunei. Aimmil Rahman Ramlee replaces Razimie Ramlli. Substitution, Indonesia. Egy Maulana Vikri replaces Miftahul Hamdi. Substitution, Indonesia. Yabes Roni Malaifani replaces Ilija Spasojevic. Goal! Indonesia 3, Brunei 0. Fachruddin Diaryanto (Indonesia) right footed shot from the centre of the box to the centre of the goal. Assisted by Putu Gede Juni Antara. Substitution, Brunei. Shafie Effendy replaces Faiz Farhan Kamat. Substitution, Indonesia. Muhammad Arfan replaces Muhammad Hargianto. Substitution, Brunei. Muhammad Abu Bakar bin Mahari replaces Abdul Azizi bin Ali Rahman. Substitution, Indonesia. Saddil Ramdani replaces Septian David Maulana. Second Half begins Indonesia 2, Brunei 0. 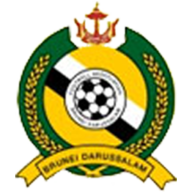 Substitution, Brunei. Abdul Hariz Herman replaces Faezuddin Haris Nasution. First Half ends, Indonesia 2, Brunei 0. Goal! Indonesia 2, Brunei 0. Septian David Maulana (Indonesia) right footed shot from outside the box to the bottom left corner. Goal! Indonesia 1, Brunei 0. Hansamu Yama Pranata (Indonesia) right footed shot from the centre of the box to the centre of the goal.